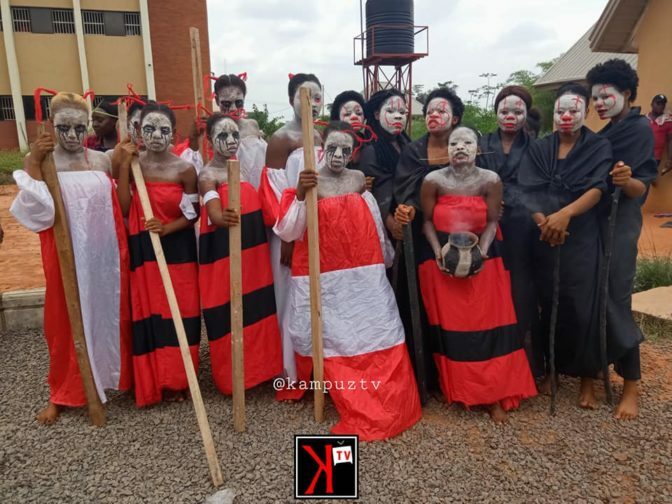 Students of the university of UNIZIK were left in awe as 100L students of the department of Theatre Arts were inducted into the department in an unusual manner. 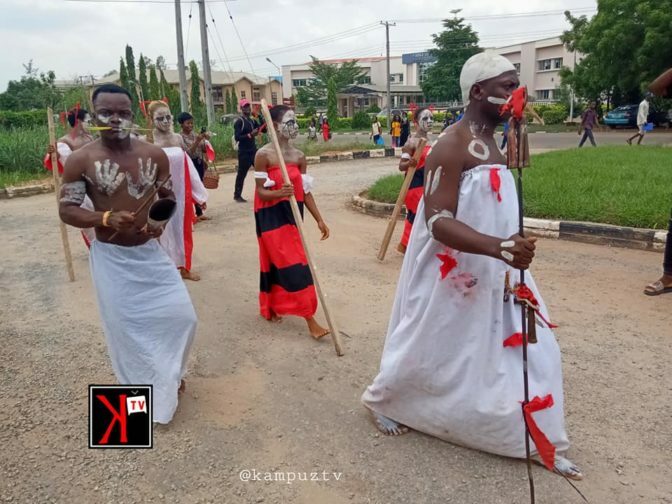 It was a sight to behold as 100 level students of the Department of Theatre Arts at the Nnamdi Azikiwe University (UNIZIK) in Awka, Anambra state were inducted into the department. 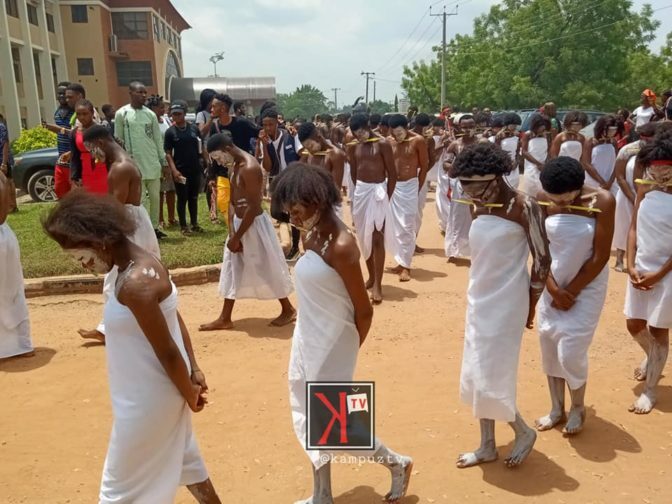 The unsual manner which had the students all dressed in white with marks inscribed on their bodies got the attention of other students who watched in awe. Theatre Arts departments in Nigerian universities are well known for their theatrics as they continue to set trends.